I received this email today with this adorable Valentine's card (or you could use it any time of year, people always like to hear they are loved!) You can download this shape for free! 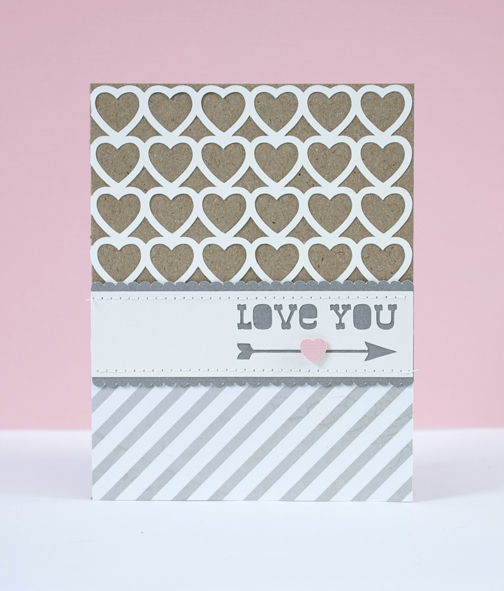 This week's free shape comes with all of the bits and pieces needed to create this Valentine. Once you've got your shape open in Silhouette studio, make sure it is selected and click ungroup in the bottom left corner of your screen. Then you will be able to move the pieces on and off the mat to cut them out of different colored papers. quick tip :: Save the little cut out bits and you'll have some confetti to include inside the card/envelope. That is always a fun surprise!